We thank all the world for tremendous support for Tohoku last year following the earthquake. 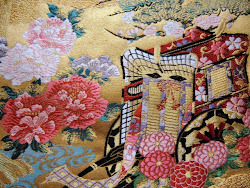 May 2012 be a happy and wonderful year for you. It means prosperity of family. It is necessary for Osechi. The top right is shrinps. It means longevity. The middle is "Kamaboko",boiled fish paste. The pink paste means "to protect yourself from harm". And the white means purity or cleanliness. Pink and white are lucky colors for new year in Japan. a rolled omelet mixed with fish paste. Each food is necessary for Osechi. This is "Nishime", vegetables and chicken stewed in a soy-flavored broth. because root crops such as carrot,lotus roots,burdocks take so much time to stew. I usually use a microwave oven to boil root crops. These are the paste of sweet potatos and yolk,honeydew,and fresh cream. They are good. This means a fortune. And the bottom left is "Tatsukuri",fried anchovy. This means a good harvest this year. And the bottom right is grilled salmons. As you see,each foods in Osechi has its own meaning for the new year. 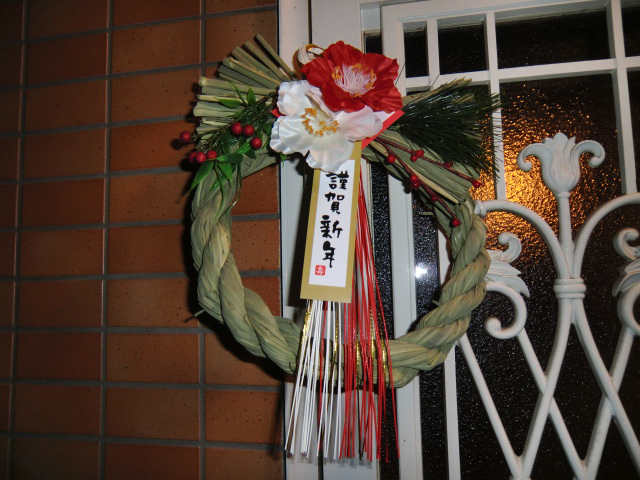 almost every house hangs this kind of wreath in front of the house. With best New Year wishes. Our supermarkets are open tommorrow (January,2) but people made provisions for these days. I haven't been to Romania,so I'm interested in such informations. Yes,provisions are also necessary for us for these days in our country. The Oeschi food pics look so appetizing and I love your presentation! Japanese eat so much healthier than Americans. I wish we would learn to eat better in 2012! Thanks for posting. I love your wreath also. It is very pretty! I think Osechi food is very traditional,conventional,stereotyped food. Yeah,this wreath is also stereotyped thing,but it is a "must" thing in Japan for New Year.